24 Hours of Le Mans - The world's oldest active sports car race in endurance racing, held annually since 1923 near the town of Le Mans, France. Commonly known as the Grand Prix of Endurance and Efficiency, race teams have to balance speed against the cars' ability to run for 24 hours without sustaining mechanical damage to the car and manage the cars' consumables, primarily fuel, tyres and braking materials. The endurance of the drivers is likewise tested as drivers frequently spend stints of over two hours behind the wheel before stopping in the pits and allowing a relief driver to take over the driving duties. Drivers then grab what food and rest they can before returning to drive another stint. Today it is mandated that three drivers share each competing vehicle. See Wikipedia article. American Motorcyclist Association (AMA) - Advocates for motorcyclists' interests in the halls of local, state and federal government, the committees of international governing organizations, and the court of public opinion. American Speed Association (ASA Racing) - A sanctioning body of motorsports in the United States formed in 1968. The ASA Member Track program sanctions dirt and asphalt short tracks along with road courses around the United States, as well as a variety of regional and national touring series. Bikelinks - Motorcycling directory devoted to all things motorcycle- makes and models, technical and history, motocross and road racing, clubs and associations, Japanese, European and American motorcycles and more. Drag Racing List - Drag racing stats, stories and photos. F1i - Formula 1 news, information, photos and live coverage. 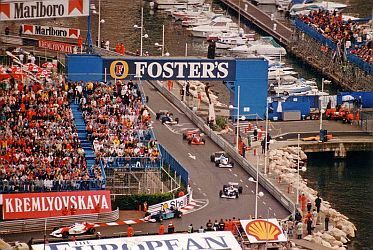 Formula1 - News, teams and drviers, races, history, betting. 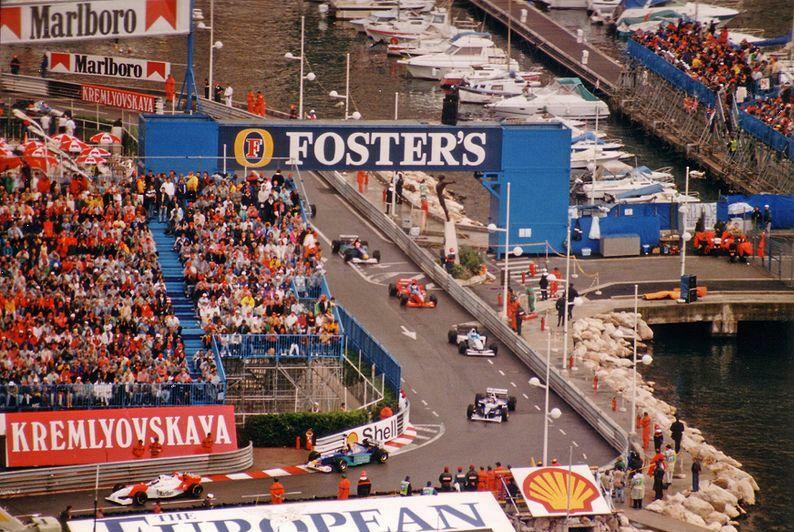 Grand Prix de Monaco Formula 1 - The Monaco Grand Prix is a Formula One motor race held each year on the Circuit de Monaco. Run since 1929, it is widely considered to be one of the most important and prestigious automobile races in the world, alongside the Indianapolis 500 and the 24 Hours of Le Mans. See Wikipedia article. Indianapolis 500 - Official site. Indianapolis Motor Speedway - One of the world's largest spectator sporting facilities. It plays host annually to three events in three major racing series: Indianapolis 500 Mile Race (IZOD IndyCar Series), Brickyard 400 (NASCAR Sprint Cup Series) and Red Bull Indianapolis GP (MotoGP World Championship). The Indianapolis 500 and Brickyard 400 take place on the 2.5-mile oval, while the Red Bull Indianapolis GP is contested on the 16-turn, 2.621-mile road course. Indy Racing League - Official site, auto racing. Indy Racing Online - Schedule, stats, photos, drivers/teams, news, cars, tracks. International Motor Sports Association (IMSA) - An auto racing sanctioning body based in Braselton, Georgia, United States. International Speeway Corporation (ISC) - Owns and/or operates 13 of the nation's premier motorsports entertainment facilities, which have more than 1 million grandstand seats and over 550 suites. ISC's facilities are located in six of the nation's top 12 media markets and nearly 80 percent of the country's population is located within the primary trading areas of its facilities. Motorsport - Motor racing news, photos, videos, fan pages of F1, MotoGP, WRC, IndyCar, GP2, Le Mans, NASCAR,NHRA, BTCC, DTM and many more. NASCAR Online - Official site of the National Association for Stock Car Auto Racing. Performance Racing Network (PRN) - A radio network controlled by Speedway Motorsports, Inc. Broadcasts all NASCAR-sanctioned Sprint Cup and Nationwide Series events held at Speedway Motorsports-controlled tracks which include Atlanta, Bristol, Infineon, Las Vegas, Charlotte Motor Speedway, New Hampshire, Kentucky Speedway and Texas. RacingIn.com: Race Track Directory - Speedways, dragways, motorsports, raceways, road and street courses, off-road circuits. RTR Sports - Sports sponsorship, marketing and consultancy from MotoGP to Formula1. See Blog. Speedway Motorsports, Inc. - A leading marketer, promoter and sponsor of motorsports activities in the United States. The company, through its subsidiaries, owns and operates eight first-class racing facilities in significant markets across the country. The company also provides souvenir merchandising services, and food, beverage and hospitality catering services through its SMI Properties subsidiaries; manufactures and distributes smaller-scale, modified racing cars and parts through its U.S. Legend Cars International subsidiary; provides radio programming, production and distribution through its Performance Racing Network subsidiary. Stock Car Racing Collection - Books, racing magazines, clippings, photographs, programs, posters, audio- and videotapes, promotional materials, and more - documenting the sport. U.S. Legend Cars International - Located in Harrisburg, N.C., US Legend Cars, Inc. is the largest manufacturer of race cars in the world, and is the exclusive producer of the Legends Car, Bandolero, Thunder Roadsters and Legends Dirt Modified Cars. United States Auto Club (USAC) - An open-wheel auto racing sanctioning body for Mopar Midget National Championship, Sprint Car Series, Silver Crown Series and Ford Focus Series. USAC Racing website provides you with latest news, schedules, blogs, general information and live feeds from the track. This webpage last updated on Wednesday, January 6, 2016 7:03 PM.